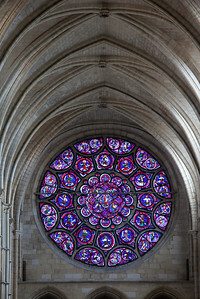 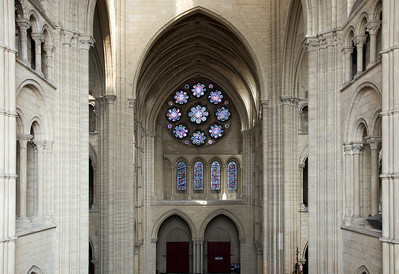 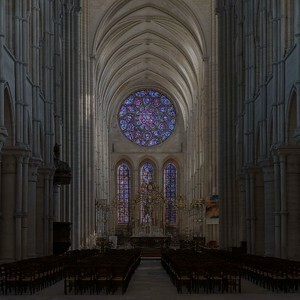 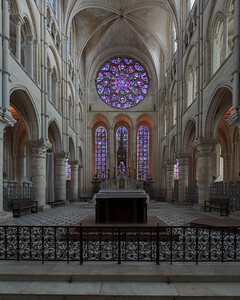 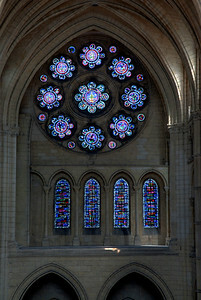 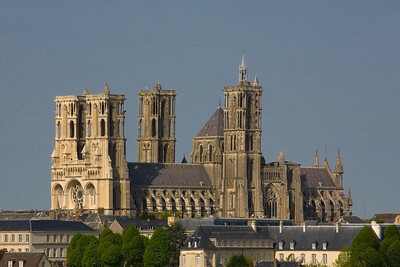 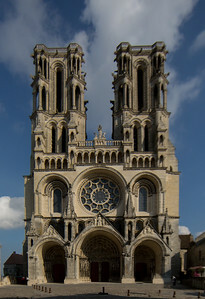 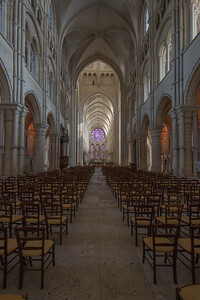 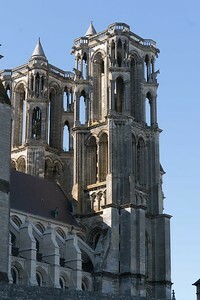 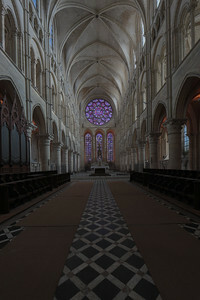 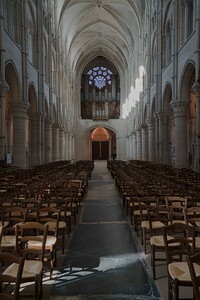 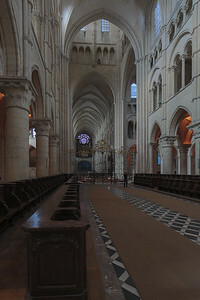 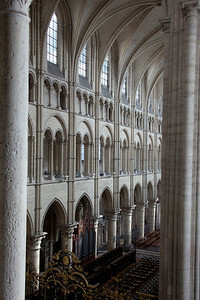 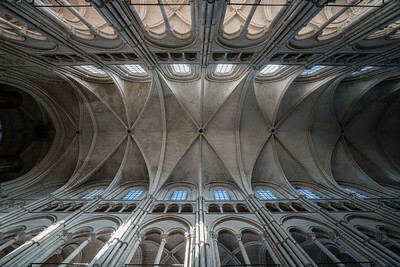 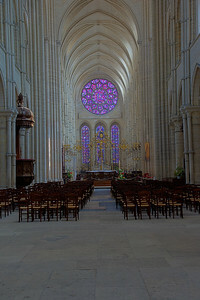 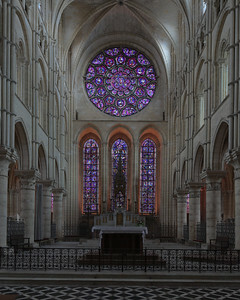 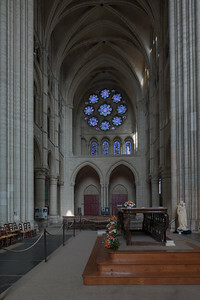 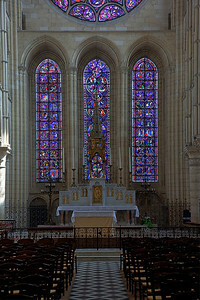 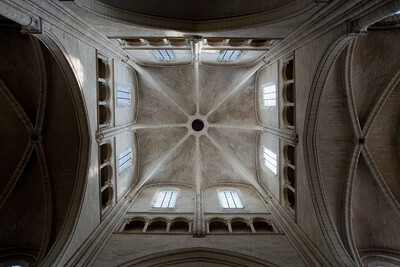 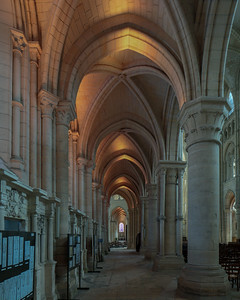 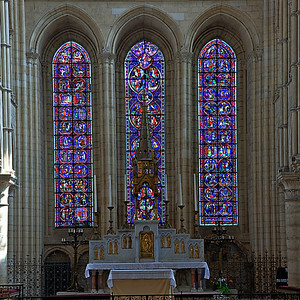 Laon is one of the masterpieces of Early Gothic Architecture. 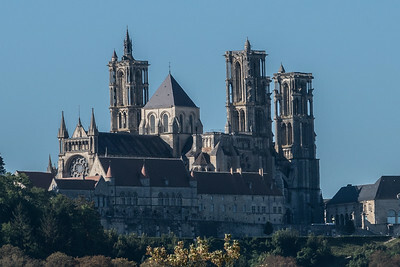 The oxen on the towers are in memory of the oxen who brought the stone from the quarries up the steep hills to the cathedral and who disappeared after the job was done. 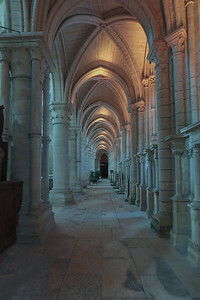 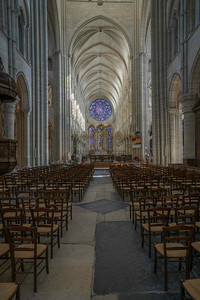 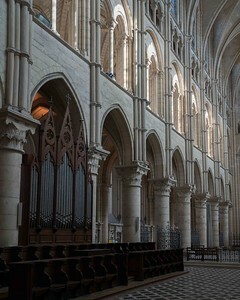 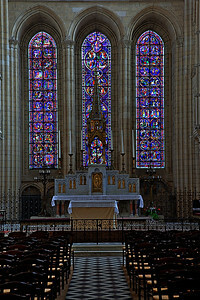 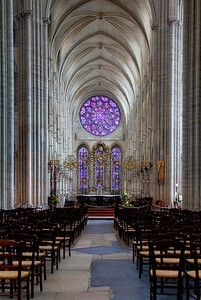 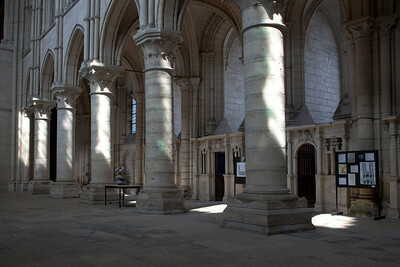 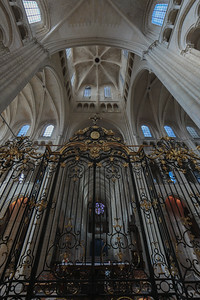 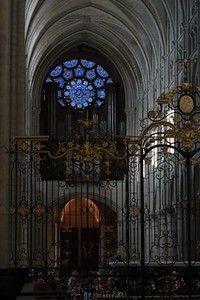 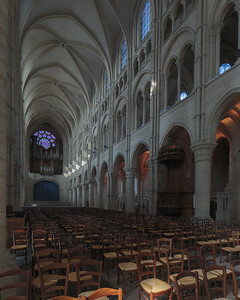 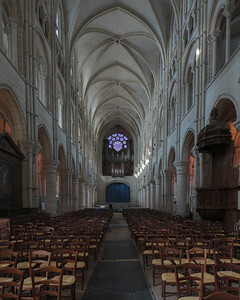 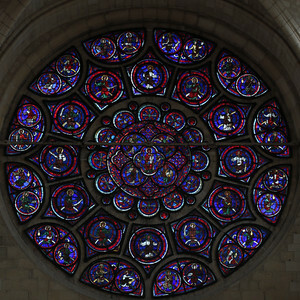 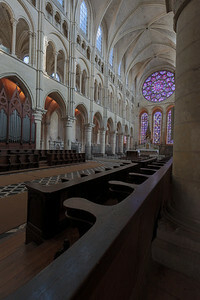 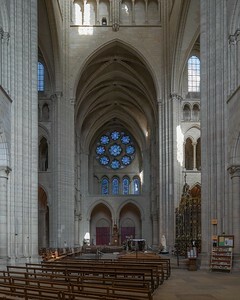 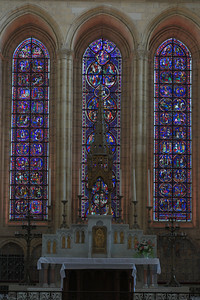 The eleven bay choir with its flat end is unusual among French gothic cathedrals. 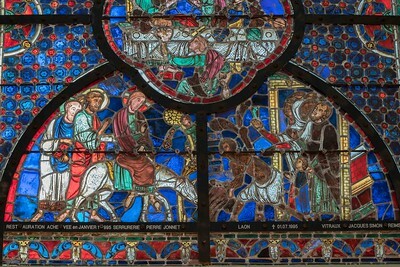 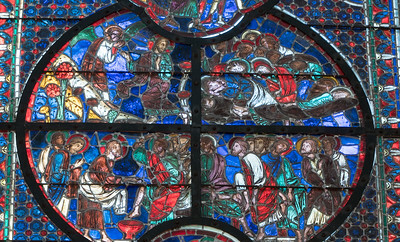 From the left: The Miracle of Theophilus, The Passion, The Life of the Virgin and the Childhood of Christ.